A successful website is an absolute essential for almost all businesses. This, in turn, can make creating, designing or re-designing, and ultimately building a website a daunting prospect. 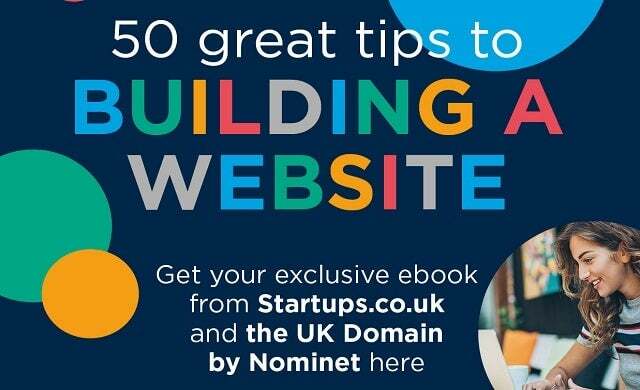 That’s why Startups.co.uk, in association with the UK Domain by Nominet, has created an ebook of 50 great tips to build a website. Anyone starting a project such as this can read all the ‘how-to’ guides in the world, but we believe the best way of gaining a real advantage is to speak to people who are glorying in the success of their own high-quality websites: the been there, done that, got the t-shirt brigade. In fact, we thought the most valuable publication would collect and distil the advice from some of the UK’s best and brightest business owners and entrepreneurs (with the best and brightest websites) into 50 top tips, covering everything from planning and building your website, to selling and marketing your website to customers. And that’s exactly what we’ve done. Enter your email address below to reveal your exclusive ebook now.